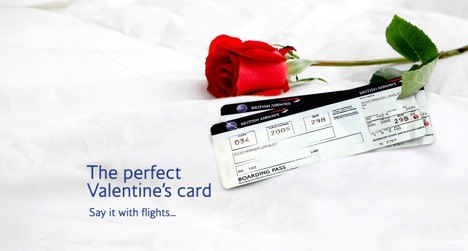 Say it with flights this Valentine’s Day. Book flights and hotels by February 14, for a romantic escape whenever you fancy. We’re here to help find the perfect romantic destination for you and your Valentine. Sweep them off their feet with a European city break to the quintessentially romantic Paris, the cosmopolitan Barcelona or the Gondoliers and ancient palazzi of Venice. We have great value flights and holidays for you to fall in love with. A feast for the senses, Spain’s most cosmopolitan city offers groundbreaking art and architecture from Picasso and Gaudi. Watch scooters race round the Colisseum and gasp at the grandeur of St Peter’s Basilica. The Eternal City is eternally romantic. Waltz away to the city of Mozart, Beethoven and Strauss. Vienna is a rich feast of magnificent squares, grand imperial palaces and luscious cafes, by the beautiful Blue Danube. Quintessentially romantic, Paris has the ‘wow’ factor. Get a panoramic view from the Eiffel Tower, stroll in the Luxembourg Gardens, and admire great art in the Musee D’Orsay. Gondoliers serenading you down the Grand Canal, atmospheric alleyways and ancient palazzi, coffee on the Piazza San Marco at sunset… Venice is a magical setting for love.